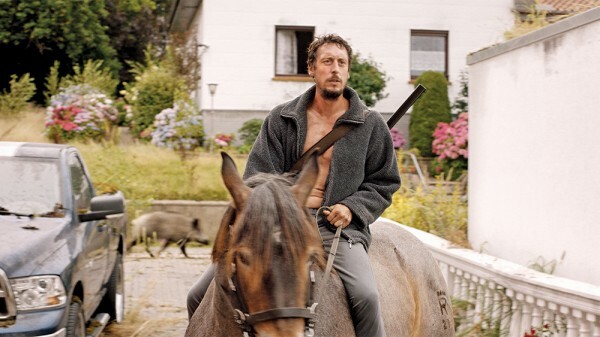 While I had trouble getting a grip on Köhler's previous film, the 2011 Sleeping Sickness (NYFF)[/url], this everyman-in-the-apocalypse tale, inspired, the director says, by three books,* goes down very easy, strange though it is. And after all, you want a last-man-living tale to be strange; otherwise why bother to make another one? We're with the Berlin School here, and Köhler's wife is Maren Ade, whose Toni Erdmann was one of the School's films recently celebrated at Cannes, as was this, and hValeska Grisebach's Western. These have all been included in NYFF's, by the way.